Comic book adaptions are worth big bucks at the box office. The last three years alone saw 20 live action superhero movies hit the big screen, and 2019 is going for broke with an incredible nine feature films of the superhero persuasion. So strap yourselves in for an epic movie viewing year. Here is your guide to every superhero movie coming in 2019. In a year full of Marvel and DC Comics movies, the first superhero film to hit the theater comes from neither company, but rather from director M. Night Shyamalan. Early in his career he made Unbreakable with Bruce Willis as a hero as unconventional as they come, and in 2017 his film Split turned out to be a sequel of sorts, being part of the same universe. Now with the release of Glass (the name of the first film’s villain, played by Samuel L. Jackson) both earlier films come together in a mutual sequel that explores the very nature of superheroes — and superhero movies — unbeholden to any comic book company’s convoluted history. What a great way to start the year. Marvel Studios is releasing three movies all in the same universe that can be viewed as past, present, and future. 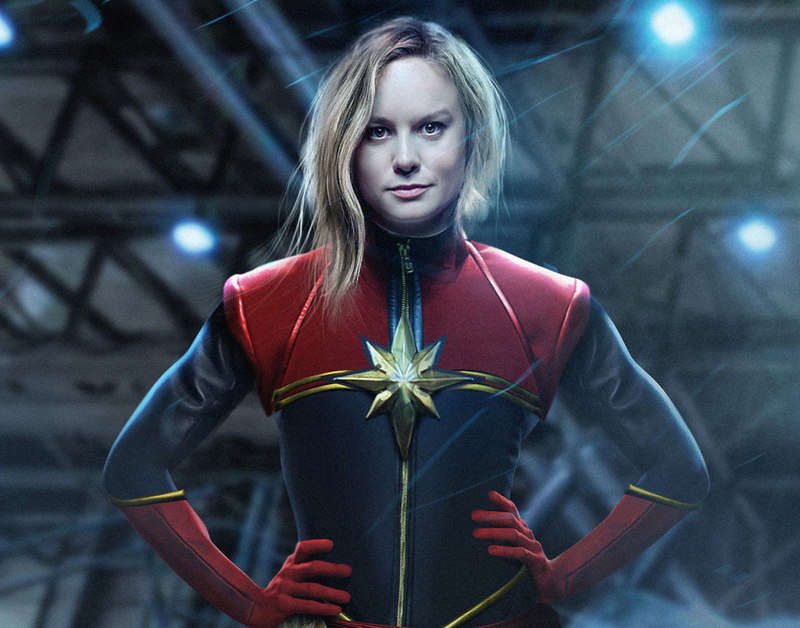 Past is represented by Captain Marvel, starring Brie Larson as the title character in Marvel’s first female-led film. It’s essentially all a flashback to the 1990s. Samuel L. Jackson (wow he’s busy!) is a younger, eyepatch-less Nick Fury dealing with an air force pilot who returns to Earth with super powers and a cosmic war following her home. Co-written and co-directed by Anna Boden and Ryan Fleck, there’s a lot of speculation that this movie will make or break future female superhero films. Charles Ranier loves DIY projects so much, he hasn't bought real furniture in years. His hobbies are weird science, flea markets, Pokémon Go, and any sport that doesn't end in "ball.” He lives in Los Angeles, because of course he does.